There are a few tips that could help you steel all the looks on the party, but one is especially important – keep it simple. The first thing you should acquire is a fancy dress. Of course, if you have a tight budget, purchasing a brand new dress could be quite pricey. This is why you should check budget department stores or second-hand shops that have a huge choice of beautiful dress that are quite affordable. A Little Black Dress is always a good option! When you have obtained a dress, the next step is Picking Out The Right Shoes. Of course, the style of the shoes should be combined with the style of the purse. Opt for something stylish yet simple, perhaps an envelope bag is the best choice. When choosing the right shoes, the most important thing is to make sure they are comfortable. There is no point in wearing the highest heel if you are not going to be able to walk afterward. Last but certainly not least are the details. The accessories you are going to choose could define your whole look, so chose carefully. Opt for a statement necklace or a bracelet, but do not go overboard with jewelry. Also, it is a good idea To Wear Your Hair High, it gives a more formal approach. When it comes to applying makeup, make sure not to overdo it. Focus on enhancing your lips or your eyes, but never both at the same time! There is no deep philosophy when it comes to men. If you want to leave the best impression and look like the gentleman you are there is only one thing you can do – suit up! Of course, most men do not have the slightest idea on how to choose the appropriate suit according to their body type. 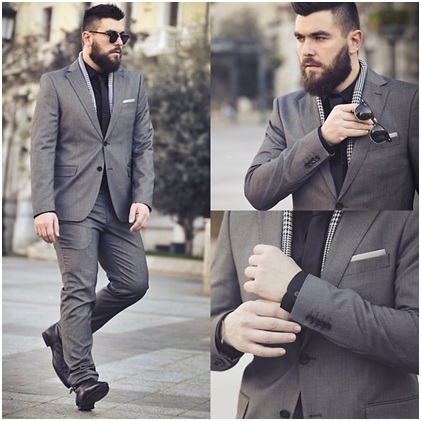 This is why the best idea is to opt for Tailored Suits which are made according to your personal measurements. Also, the best choice of colors is definitely black, navy blue or gray. When it comes to accessorizing, simply rely on Black Leather Shoes, a red tie, and a good watch. Everything else is redundant. Many people make the mistake of going over the top when choosing formal attire. It is important to realize that fashion is what you buy but the style is what you do with it. So learn how to wear your garments and you will realize that you can look glamorous and sensational without spending too much money on pricey clothes.